Commemorating the centenary of the 1914-1918 Great War, Travel Pics remembers. The Pozieres Memorial's 97 panels contain the names of 14,655 UK and 300 South African missing soldiers who presumably lost their lives on the Somme battlefields between March 21st and August, 7th, 1918. 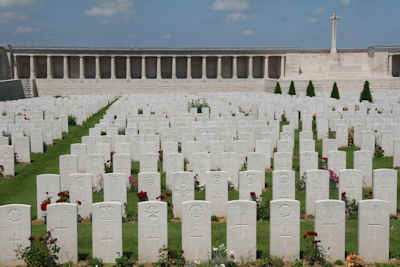 The Pozieres British Cemetery contains over 2,700 marked graves within the boundary wall of the Pozieres Memorial. The British Cemetery and Pozieres Memorial is located on the D929 Albert-Bapaume road, just south of the village of Pozieres; and 6km north-east of Albert. British Cemetery at Messines Ridge. German Bunker at Tyne Cot Cemetery. Remembrance Sunday - Lest We Forget.